No one would dispute the appeal of the scenic beauty heading north from Nanaimo on Vancouver Island. As highways go, it’s truly picturesque, be it the old or new island route. But tucked into several towns along the way are more recent draws for road trippers: craft breweries. They may be chock-a-block in Vancouver and well-established in Victoria, but it’s only been in the last four years, really, that a few pioneering spirits in this region established micro breweries in their towns. And more are slated to open. 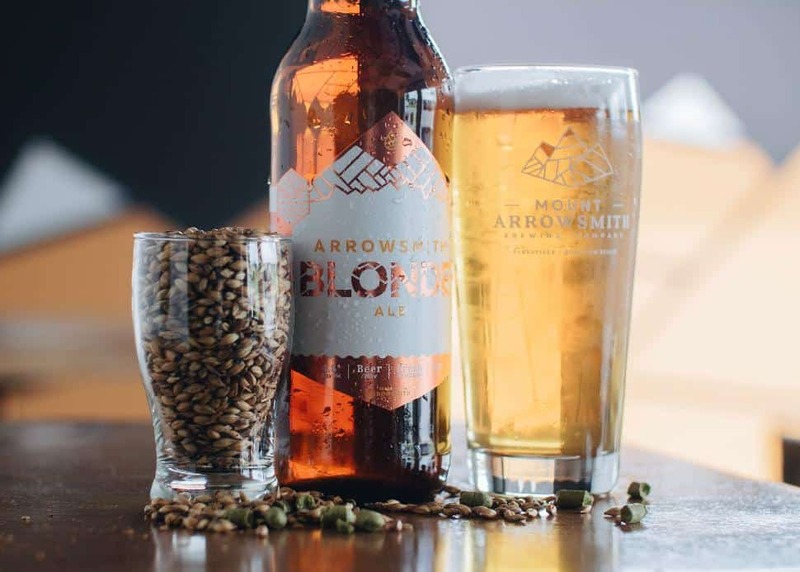 Much like sampling wine through the Okanagan, visiting the island’s craft breweries from mid-island northward offers a chance to taste award-winning beer and glimpse into life in small-town B.C. Our tour began in Parksville, just north of Nanaimo, at the recently-expanded Mount Arrowsmith Brewing Co. and wrapped in Campbell River at the ultra-stylish Beach Fire Brewery and Noshes (they do beer and dessert flights!) With six breweries total, the plan hugged the coast geographically, which is why Port Alberni’s Twin City Brewing Co. was excluded from this trip. Keen beer enthusiasts, though, might want to make that brief detour to the west before heading back up north. If there was one word we heard uttered more often from brewery owners than “beer,” it was “community.” All the brewery people know one another, and all are supportive of their respective enterprises. They are immersed in community in the truest sense of the word. They see their role as neighbourhood gathering places for friends and families (yes, kids are welcome). Community means more than just being a social hub. 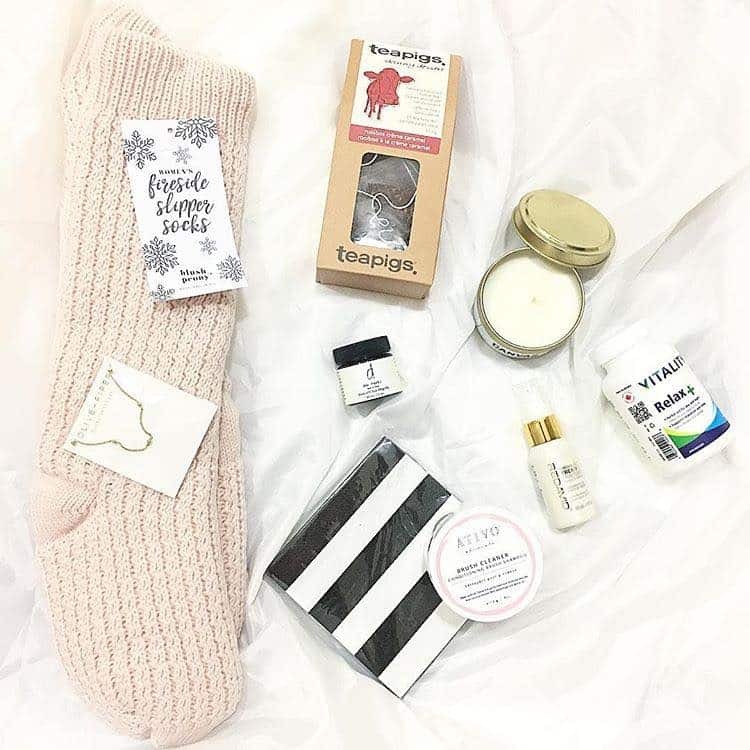 Many have charitable initiatives that support local causes, food waste policies that support local farmers, and even strive to buy local through their suppliers. Given how close all the towns are to one another, it’s possible to stay at one place and just venture out on day trips, or book accommodation at different towns. On our three-day, two-night sojourn, we were hosted in Parksville at the well-appointed Beach Club Resort and then stayed with friends in Courtenay. Deciding on accommodation might depend on how much you plan to eat and drink, or if you have a designated driver. Mount Arrowsmith BrewingA few blocks from the main street, in an industrial setting, is the newly expanded Mount Arrowsmith Brewing Company. The interior is a fresh, polished reinterpretation of Canadiana cabin style and the staff is young—unique in this area of the island. Matt Hill, whose family has been in the Parksville area for generations, started the brewery with his cousin Dan Farrington. They began with researching craft breweries and did some home brewing. The result was terrible beer, says Hill. “So we realized quickly that we would need to find a professional brewmaster because we weren’t going to cut it,” he recalls. They found Dave Woodward, born and raised in Qualicum Beach, who had returned to the area after 15 years as brewmaster and partner at the Whistler Brewhouse. Apparently a good move as just two years later they’ve doubled their space and have added a kitchen in the process. They’ve also garnered some impressive awards. “By September of 2017, we won gold for blonde ale, and silver for our Sea Run Saison at the B.C. Beer Awards,” says Hill. They also won Brewery of the Year after only being open six months. In 2018, they won Best Golden Ale at the World Beer Awards in the U.K. 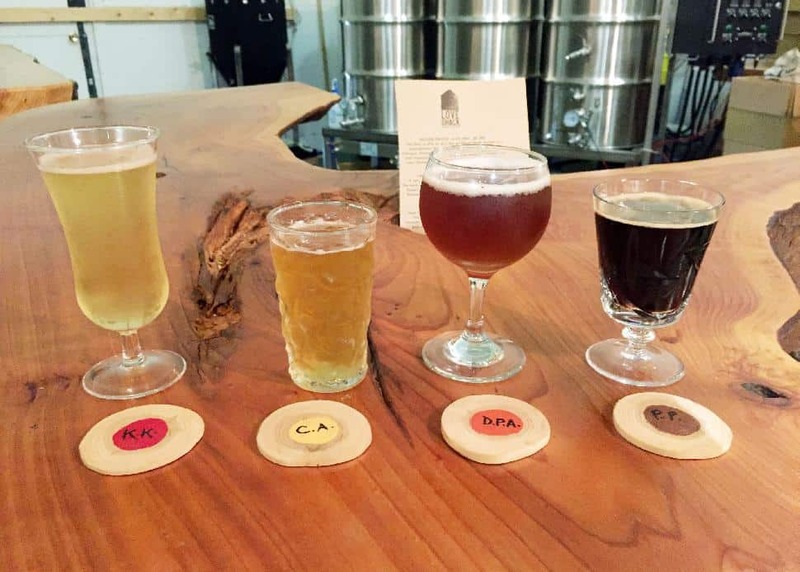 The brewery has five permanent beers on the menu: Blonde, Hefeweizen, Porter, IPA and Salish Sea Pale Ale. They have seasonal rotating beers, including the summer fundraiser Sea Run Saison in June in support of ALS research. “It’s meant to be a sociable atmosphere. Hence the large tables,” Hill explains. “It’s more about the conversations over a couple of beers and a couple of bites." Love Shack LibationsCraft beer brewer Dave Paul seems to have achieved something unique in life: an almost ideal work-life balance making a living via one of his hobbies. His nano-brewery, Love Shack Libations, perched on up a hill on the old Island Highway just outside of the town of Qualicum Beach is now the sole focus of work for him. Just a little more than two years ago, Paul opened the brewery space—he was just a couple of months ahead of Mount Arrowsmith—after home brewing for years. It was when he changed brewing systems that his whole approach changed. He thought the next step was to buy more equipment but his wife suggested he open a brewery instead. A mere nine months later, Love Shack Libations—named for their self-built family residence—was open for business. He maintains four core beers: Killer Kolsch, Crafty Cream Ale, a D.P.A. and Precious Porter, with anything additional a result of whatever strikes his fancy. His Pilsner was awarded third place at the 2018 B.C. Beer Awards. Though Love Shack doesn’t have a kitchen, on Wednesday nights the local food truck, Knockarama, turns up so tasters can get a hearty meal to accompany their sampling of the beers. Paul says it’s quite the social night locally—a date night for many in the area. There’s “no cell service so people have to talk,” he says. Although Paul tends to the beer most every day, Love Shack is only open Wednesday nights and Saturday afternoons to the public as a tasting room and point of sale. But he adds that most people know that if his truck is out front, it means he’s there and they can just knock on the door. 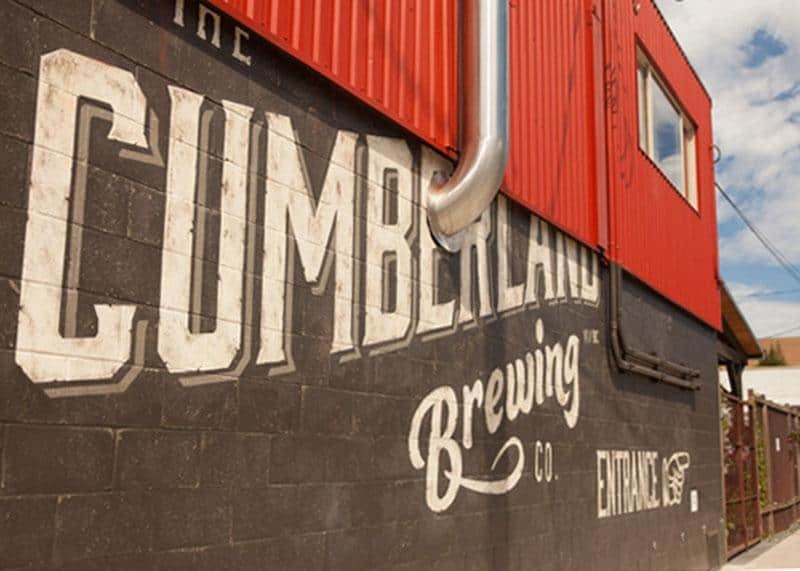 Cumberland BrewingThe village on Cumberland’s main street is an artful, balanced blend of hippy and hipster, and right smack in the middle of it is the town’s eponymous craft brewery. It was the first to open in the Comox Valley, beating out Courtenay’s Forbidden and Gladstone breweries by mere months almost five years ago. Darren Adam, the brewery’s publican, describes their business model as something more than just selling beer. “It’s about creating a true public space, more like the pubs in the U.K. It’s a community gathering place,” Adam explains. As for the beer, Adam says they make what they consider to be a lot of the classics and then rotate in seasonal beers which can involve collaborations with other breweries. (They worked with Twin City Brewing to create some sours.) Since the brewery has been open, they’ve produced more than 50 recipes of full batches. The five core—yet diverse, says Adam—beers are: an IPA, an unfiltered American Wheat Ale, Oatmeal Stout, an English Bitter and a Pale Ale. Adam describes the unfiltered Wheat Ale, Forest Fog, as “a very drinkable beer. Even winos like it. [It’s] citrusy light and refreshing, a Hef without the clove and coriander.” It’s their best seller and comprises 43 percent of the beer produced. 25 cents of every litre is donated to the Cumberland Community Forest Society before they even sell it. Food is an important component of their community hub experience. Partner Caroline Tymchuk and her husband Mike, the brewery’s recently-retired brewmaster, owned Rider’s Pizza in Cumberland for years before teaming up with Adam. So creating a complementary menu of beer and food was a perfect fit for their skill set. And though the interior space is cozy in size, there’s a heated spacious patio out back to accommodate overflow and larger groups. Adam says the brewery is there for the pleasure of their patrons and, he underscores, their community. Land and Sea BrewingWhen Land and Sea Brewing Co. owner Jason Walker describes his new craft brewery as “a public house for our town” created to be “a casual, family-friendly environment where you can come and enjoy fresh beer, yummy food and bump into some old friends,” you might imagine a snug, cozy throwback to times gone by. You’d be wrong. Land and Sea might be casual but everything about it is ultra-modern in its sleek yet inviting interior, designed by Walker’s wife Hannah. 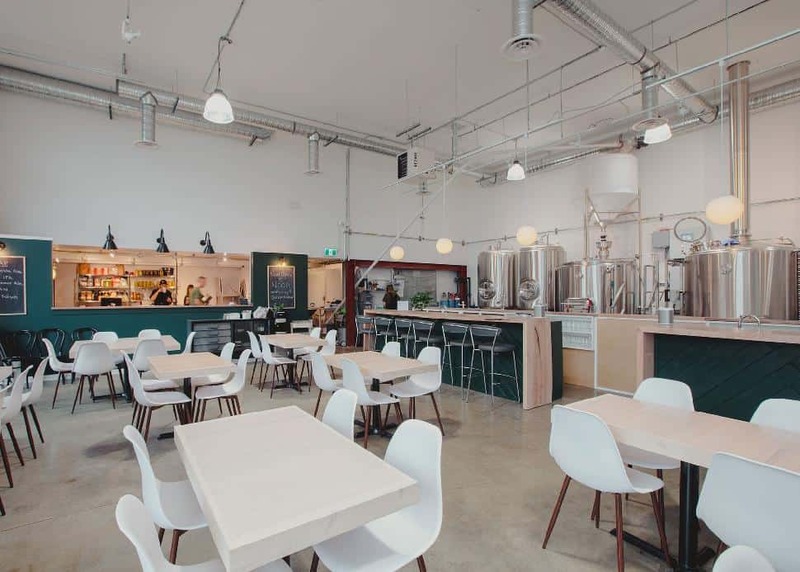 Housed in a large, airy, light-filled space, it is industrial—with exposed, massive brewing tanks and an expansive chunky wood bar—meets modernist, with occasional punches of colour. 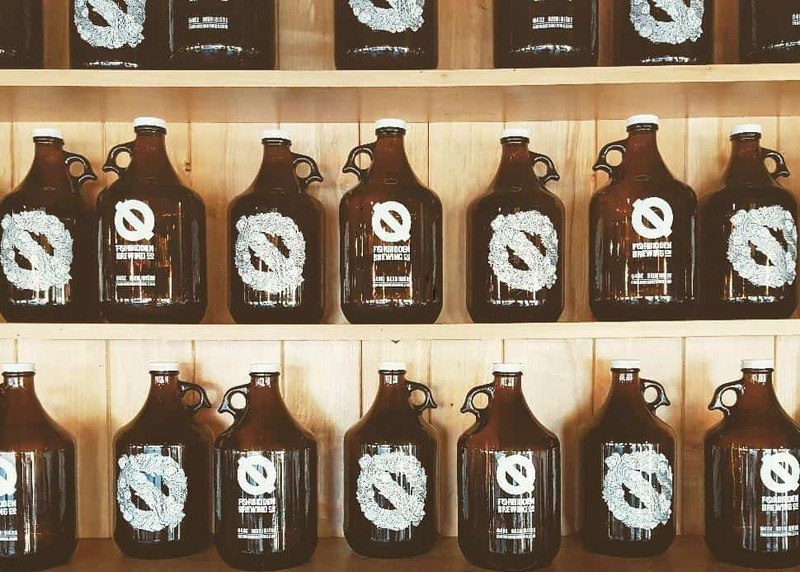 This brewery has brought a decidedly hip vibe to the sleepy town of Comox. But with 15 years working in market research and as a strategist advising others, he knows business. And this is a chance for him to rein in non-stop work travel to stay home and create something in his own community. Land and Sea’s core beers include the Glacier Cream Beer, which Walker describes as a “yellow easy-to-drink beer—our gateway beer,” the Black Tail Kolsch and the Esturary Session IPA. “We want all our beers to be approachable,” he says. Every day there is a specials board for food: salad, sandwich and dessert. The day we visited, the dessert was a poached pear in cream ale and almond strudel. A regular item on the menu—which offers more creative fare than just burgers—is potatoes cooked in duck fat with truffle oil. They also offer oysters on the shell when available. Though Walker appreciates the positive feedback on the food, it’s still all about the beer for him. He worked with Darren Adam and Mike Tymchuk from Cumberland Brewing to make sure he got everything right but still feels it can always improve. “It’s a work in progress. How can we get better at what we do? That’s the culture I’m trying to foster,” he says. Forbidden BrewingYou could easily miss Forbidden Brewing if you’re not paying attention. Next to the entrance of the Westerley Hotel, just on the outskirts of Courtenay, is the what one could describe as "the little brewery that could." One of the first breweries in the Comox Valley, it was—until as recently as six months ago—a nano-brewery. Now micro status, it’s gone from producing 600 litres over three days to producing 1,000 litres in one day—certainly a game changer for the brewery that takes its name from the local historic landmark, Forbidden Plateau. It was from those six small u-brew kettles that Forbidden beer has come from, until a new brewing system was recently installed. Nathan Wood, who had left Forbidden for a year and a half to work in at a bigger facility in Victoria, returned to the brewery to work as a brewer with the new system, interpreting Williams’s recipes—who is a teacher at his day job. “Our Pale Ale is our award winner. It took a first place at the 2017 B.C. Beer Awards—and it's our flagship beer,” says Wood. “We always have something light and dark, and lots of rotation.” He adds that their IPA is the best seller. Although Forbidden doesn’t have a kitchen, the bar does offer some packaged snacks, and patrons are welcome to bring their own picnics or order in. 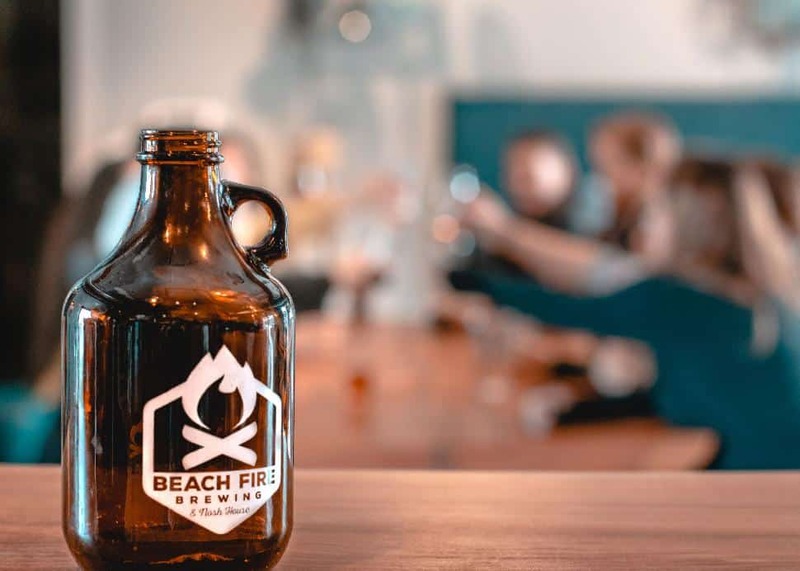 Beach Fire BrewingBeach Fire Brewing—the former Campbell River television studio—is an inviting, creatively conceived, community hub. What began with partners Laura Gosnell and Darrin Finnerty doing long table, pop-up dinners and creating underground dining experiences has blossomed into a unique, stylish beer and food destination. A place so welcoming, dogs are allowed on the patio. 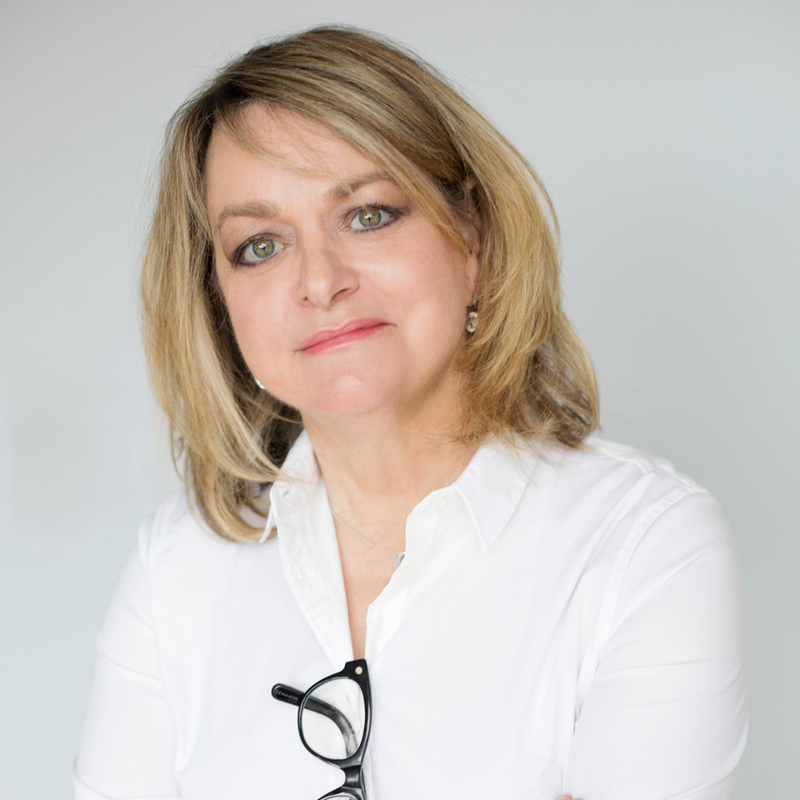 Gosnell’s food background comes from working in restaurants while pursuing two university degrees. She admits, laughing at the memory, that there was a bit of pressure for them to open a business. 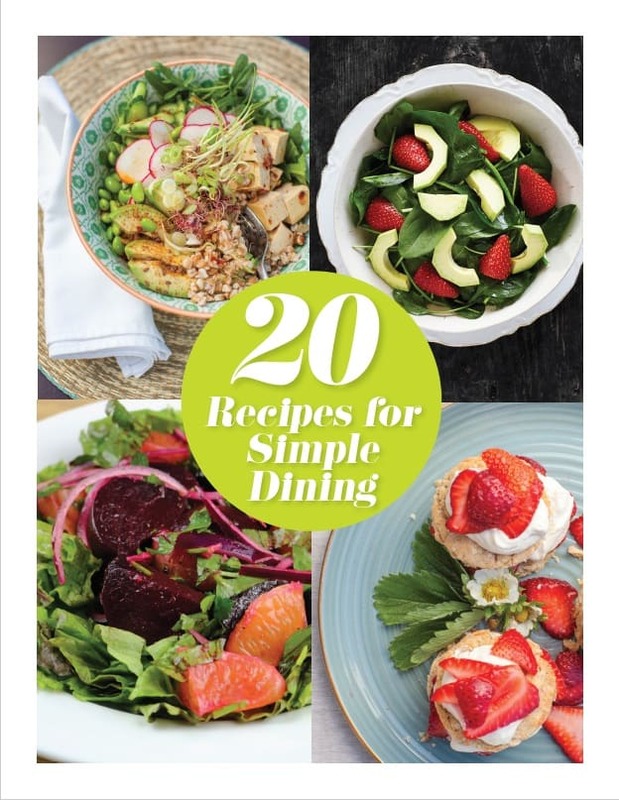 “There was a niche to be filled for something a little bit different,” she says. It took them a while to find a space in town that had the space they needed for both the brewery and a restaurant, and when they did, it was a massive renovation project. They recycled the building’s old joists to make the communal tables and benches and found the retro, green pendant lamps from an old elementary school gym. The interior is a cohesive blend of rustic, retro and modern styles with a dash of whimsy. They brew 1,200 litres at a time, two to three times a week, making four core beers: Beach Blonde Ale, Ember Red, Wheel Bender Stout and High Tide Pale Ale. Beach Fire also does seasonal batches like a Belgian-style dubel, Dry-hopped Kettle Sour and Cascadian Dark Ale. “Our mandate here, I guess, is to be a place where people come to talk and socialize,” Gosnell says.